NAIROBI, Kenya (Morning Star News) – Secret Christians in Somalia were not surprised by a sudden government ban on Christmas celebrations, but it did darken their plans, Christian leaders said. The government on Dec. 22 announced a ban on Christmas and New Year’s Day celebrations, with Mohamed Khayrow, director general of Somalia’s Ministry of Religious Affairs, saying they “could damage the faith of the Muslim community.” Most Somalis use an Islamic calendar that does not recognize Jan. 1 as the start of a new year. Underground churches in Somalia had planned Christmas and New Year’s celebrations among small fellowship in private homes, but they feared holding them after the ban was announced, church leaders in Somalia told Morning Star News. An influx of Somali refugees returning from other countries with a Christian tradition such as Kenya, coupled with the presence of Christians among 22,000 African Union peacekeepers and other foreigners, appears to have prompted the ban, he said. A previous ban announced on Dec. 24, 2013, had been rescinded in January 2014, according to the U.S. State Department. Asserting that all people in Somalia are Sunni Muslims, Somali officials last month reinstituted the ban. The U.S. State Department estimates that Shia Muslims, Christians and other groups constitute less than 1 percent of Somalia’s population. Somalia was second only to North Korea on last year’s ranking by Open Doors of countries where persecution is most severe. Al Shabaab rebels and other Islamic extremists in Somalia have killed several Christian civilians in the course of their fight to take control of the country. Sheik Nur Barud Gurhan, deputy chairman of the Supreme Religious Council of Somalia, reportedly said Islamic scholars were warning against Christmas and New Year’s celebrations because they were not relevant to Islam and could be subject to attacks by Al Shabaab rebels. Al Shabaab militants in 2014 attacked a Christmas party at an African Union military base in Mogadishu, killing three peacekeepers and a civilian. Among duties of African Union Mission in Somalia (AMISOM) peace-keeping troops in Somalia is to support the Federal Government of Somalia’s forces against Al Shabaab militants. 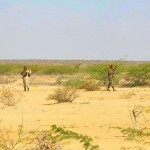 The units have dislodged Al Shabaab from many of its strongholds. “A number of our secret Somali believers were beheaded on several occasions by Al Shabaab, who had maintained a stand similar to the ban that the Somali government has issued on Christmas and New Year’s celebrations,” the Christian leader told Morning Star News. Somalia’s constitution establishes Islam as the state religion and prohibits the propagation of any other religion, according to the U.S. State Department’s 2014 International Religious Freedom Report. It also requires that laws comply with sharia (Islamic law) principles, and “there are no exemptions from application of sharia legal principles for non-Muslims,” the report states. “Al-Shabaab persecuted minority Somali Christians in areas under its control, including executing suspected converts to Christianity,” the report states, citing one report that first appeared in Morning Star News.